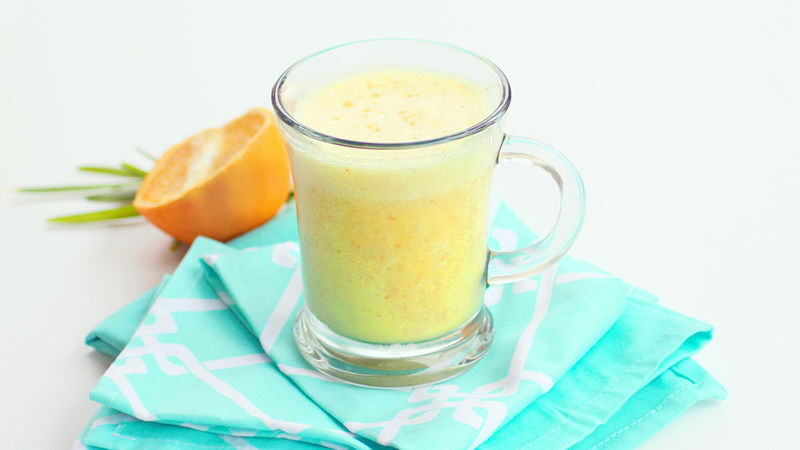 This drink is full of vitamins and protein that'll give you long-lasting energy to get through the mid-afternoon slump! Around two in the afternoon I find myself hitting a wall. Between the combination of lunch and probably not enough sleep, I've been guilty of reaching for a drink loaded with caffeine to get my energy back. Although purchased energy drinks may initially give you that quick source of energy, they are loaded with caffeine and sugars that drop you flat on your face after their initial boost. Not to mention they can break the bank. This Super Energy Drink is a cheaper and healthier option for that instantaneous rush of energy. It’s full of vitamins and protein that will give you that long lasting energy that you are looking for. 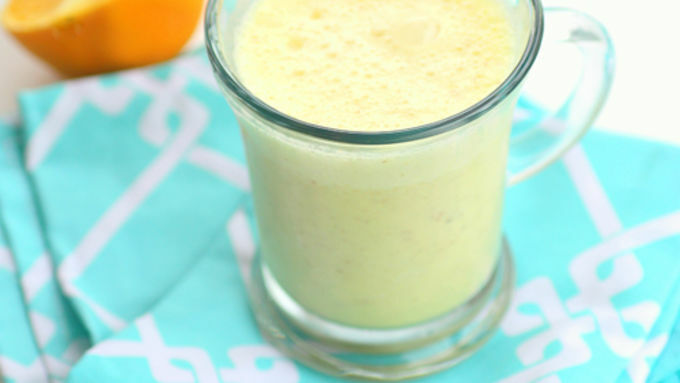 This drink combines oranges, coconut milk, yogurt, honey, and flaxseed into a tasty drink to help you get a kick-start. Oranges – provide natural sugar and vitamins to give you a boost of energy and are loaded with vitamin C to help fight off sickness. Coconut Milk – is also full of vitamins and contains natural fats that help you feel full. Yogurt – is full of protein which makes you feel fuller longer and sustains your energy. Honey – is known for its effectiveness in instantly boosting the performance and endurance of athletes. The natural sugar in honey is gradually absorbed into your bloodstream giving you long lasting energy. Flaxseed – is what I like to call the secret weapon in this drink. Not only is it a great source of fiber and full of Omega-3 fats, but you can’t even taste it! Flax slows down the release of fruit sugar into the bloodstream, giving you a steady supply of energy for a few hours. Don’t let your tank get to empty. Together, all of these ingredients are the perfect combination of protein and carbohydrates for an intense burst of energy. Did I mention that it tastes like an orange creamsicle?